Montgomery Cunningham “Monty” Meigs, former Commander, U. S. Army Europe (USAREUR,) was born in Annapolis, Maryland on January 11, 1945. His father, a lieutenant colonel and tank battalion commander, had been killed in action in France exactly one month before his son was born. The great-great-great grandnephew of Montgomery C. Meigs of Civil War fame, the younger Meigs graduated from West Point in 1967. 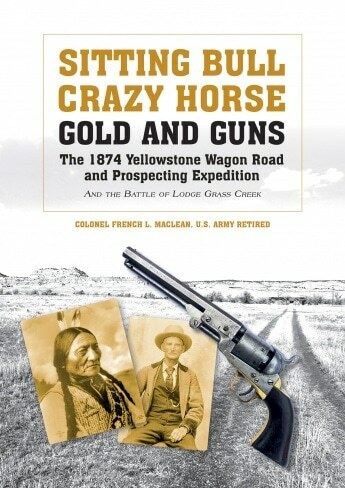 He served as a cavalry troop commander and a squadron operations officer in Vietnam. After receiving a Ph.D. in history at the University of Wisconsin – Madison and attending the Army’s Command and General Staff College, he taught in the History Department at West Point, spending one academic year at Massachusetts Institute of Technology as an International Affairs Fellow of the Council on Foreign Relations. Lieutenant Colonel Meigs assumed command of the 1st Squadron, 1st Armored Cavalry Regiment of the 1st Armored Division in June 1984. Two years later, he attended the National War College as an Army Fellow and then served as a strategic planner on the Joint Staff for three years. Colonel Meigs then returned to USAREUR and assumed command of the 2nd Brigade, 1st Armored Division on September 26, 1990, later fighting in “Operation Desert Storm.” Promoted to brigadier general, Montgomery Meigs commanded the Seventh Army Training Command in Grafenwöhr, Germany, as well as serving as Chief of Staff of V Corps and Deputy Chief of Staff for Operations of the U.S. Army, Europe, and Seventh Army. He later commanded the 1st Infantry Division in Bosnia, and after receiving a fourth star, became the commander of the U. S. Army in Europe. 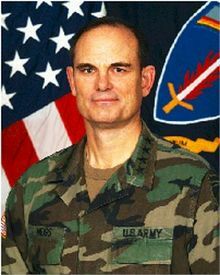 After his retirement in 2002, Montgomery Meigs served as a professor at the Maxwell School at Syracuse University, director of the U.S. Department of Defense’s Joint Improvised Explosive Device Defeat Organization (JIEDDO) and as Visiting Professor of Strategy and Military Operations at Georgetown University’s School of Foreign Service. He is also the President and CEO of Business Executives for National Security (BENS), a national security public interest group. He currently resides in Texas.